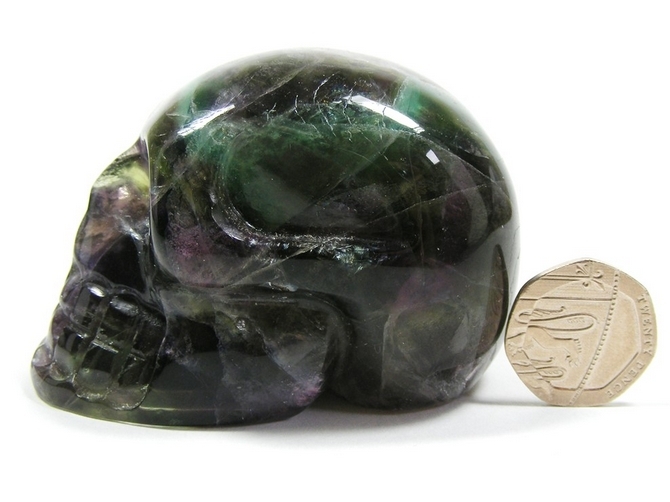 Lovely carving of a skull, cut and polished from a great piece of Purple Fluorite. Look at the photograph with the coin. Just in front of the coin is a tiny area that should have been polished better. There's a tiny little "ding" there, otherwise a brilliant skull ! 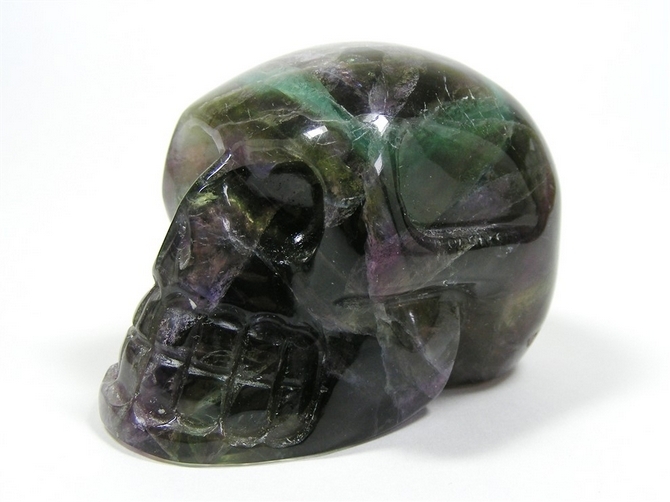 In addition, Purple Fluorite stimulates our Third Eye and helps us to connect to spirit more easily. 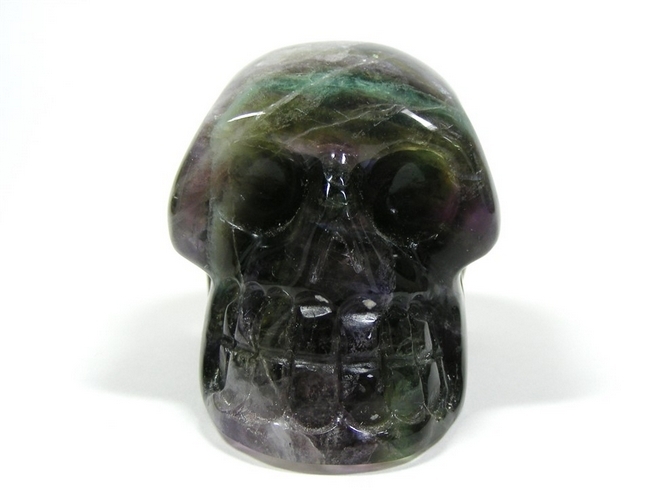 It enhances both our psychic and spiritual growth but also helps us to apply our common sense to any psychic contact or psychic communication that we may have. 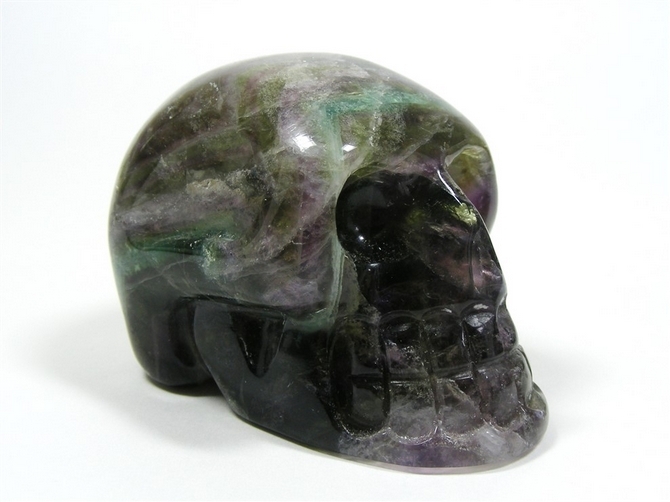 Purple Fluorite enhances our mental processes and is also an excellent meditation stone. It has been used in purification ceremonies and rituals. It is a stone that helps us with bone and bone marrow disorders, but additionally, helps us when we need to prepare ourselves to receive healing on any level.